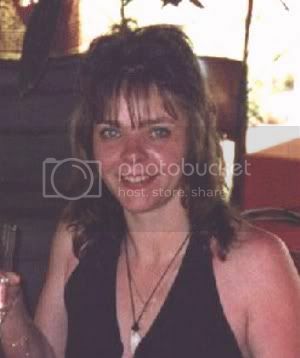 Lisa Govan was last seen at approximately 7.30am on the morning of Friday 8 October 1999 in the vicinity of the Foundry Hotel Bottleshop, Kalgoorlie. Despite extensive inquiries by Police and family, her whereabouts are not known. 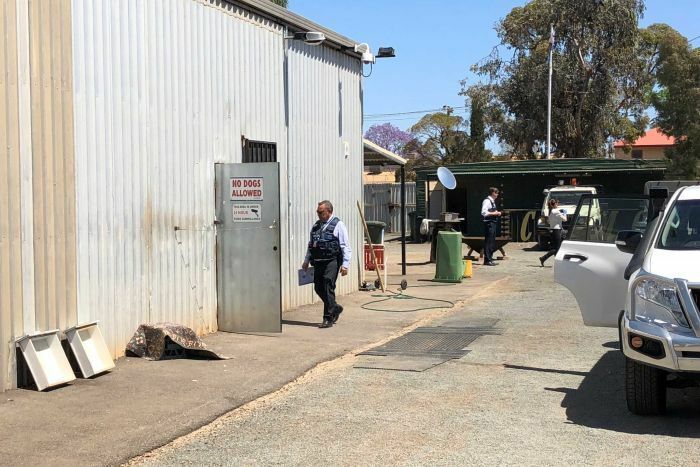 Police have raided the Kalgoorlie headquarters of the Club Deroes motorcycle gang following the disappearance of a woman from a nightclub last week. Lisa Joanne Govan, 28, was last seen outside the bikies' Boulder Road clubhouse about 6am on October 8, having earlier left the Safari nightclub. Detective Sergeant Louise Ball of Kalgoorlie police said detectives raided the property last night and seized a number of "items of interest". However, no arrests had been made. "At this stage we don't know if the bikies are connected with the disappearance or not, but obviously we are taking seriously the fact that she was last seen outside the clubhouse," Sgt Ball said. Street for most of the evening. She was reported missing by her de facto husband who returned to an empty home after finishing a night shift. Sgt Ball said Ms Govan's disappearance was out of character. "She is very close to her family who live in Perth and she normally speaks to them every day or every second day," she said. "They haven't heard from her at all and they're very worried about her, and so are we." Ms Govan is described as 157cm tall, of slim build and with long brown hair. She was last seen wearing a short black skirt and black lace top. Anyone with information is asked to contact CrimeStoppers. Police say they're becoming increasingly concerned for the safety of a 28-year-old Kalgoorlie woman last seen outside a bikies' clubhouse 10 days ago. LISA JOANNE GOVAN was last seen at about 6am on October 8 outside the Club Deroes clubhouse in Boulder Road. She had earlier left Safari's nightclub in Hannan Street in a taxi with a group of people. Detective Senior Constable BRENDAN KAYS of Kalgoorlie police said Ms GOVAN had not contacted her family nor touched her bank accounts since she went missing. Although most had been eliminated from the inquiry, police are anxious to speak with a shaven-headed man captured on film with Ms GOVAN. Ms GOVAN is described as 157cm tall, of slim build and with long brown hair and was last seen wearing a short black skirt and black lace top. KALGOORLIE, WA, Dec 21 AAP - A man who called Crimestoppers with information into the disappearance of a Kalgoorlie woman last year has been urged to contact police again. 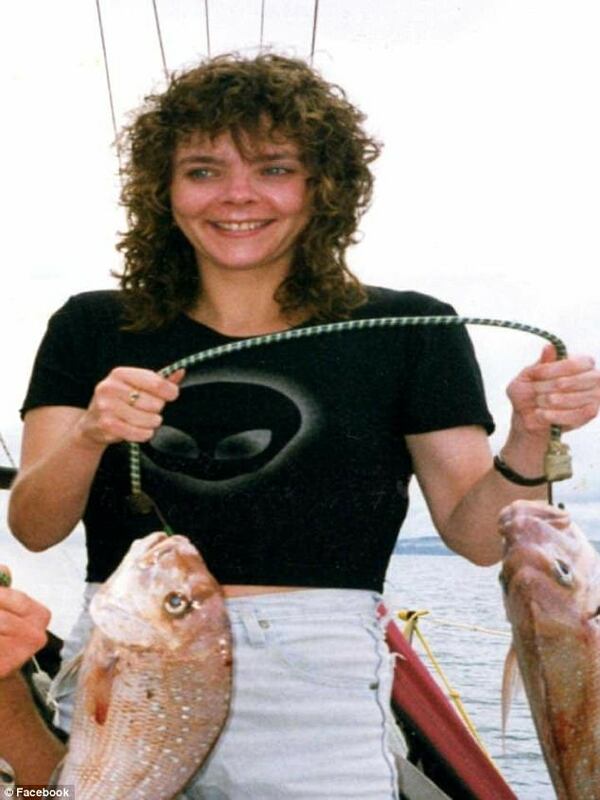 Lisa Joanne Govan, 29, disappeared outside the Club Deroes headquarters in Kalgoorlie, 500km east of Perth, in October 1999 and until now police have been stumped by her disappearance. information provided by a psychic in the United States. Ms Govan's family had sought the psychic's help in a bid to find their daughter but the information had not led police anywhere, he said. for most of the evening before she disappeared. She was reported missing by her de facto husband who returned to an empty home after finishing a night shift. A reward has been offered for information regarding the disappearance of a 28-year-old woman last seen at a motorcycle clubhouse in October last year. the Club Deroes headquarters at Boulder, 500km east of Perth. The last confirmed sighting of Ms Govan was about 7.30am on October 8, 1999.
of the person or persons responsible for Ms Govan's disappearance. The State Government today offered a $50,000 reward to anyone with information regarding the disappearance of Lisa Joanne Govan. Ms Govan was last seen at a social gathering at the Club Deroes Headquarters in Boulder in the company of a group of associates and club members. She remained after her associates left and was reported as a missing person later that afternoon. A police investigation established the last confirmed sighting of Ms Govan was at about 7.30am on October 8, 1999, when she was seen re-entering the compound surrounding the Club Deroes Headquarters. Despite extensive inquiries and intense media coverage there have been no further sightings. Police Minister Kevin Prince said today the $50,000 reward would be paid by the Government for information leading to the apprehension and conviction of the person or persons responsible for Ms Govan’s disappearance. A free pardon will be extended to any person who is not directly responsible for her disappearance and who gives sufficient information or evidence that leads to her present whereabouts, or the apprehension of those responsible for her disappearance. “The allocation of the reward will be at the sole discretion of the Commissioner of Police,” Mr Prince said. Information can be given to Crime Stoppers on 1800 333 000, the Officer in Charge of the Kalgoorlie Detectives Office on (08) 9021 9703, or to any police station. WERE bikies responsible for Lisa Govan’s murder or did someone else snuff out her life? In an enduring and puzzling case, cold case detectives are reviewing all the evidence surrounding her disappearance on October 8, 1999. And her parents have reached out again to the WA public for any morsel or snippet of information that could lead to a breakthrough. Their beloved daughter, then 28, vanished in Kalgoorlie, where she’d been living and working for a few years. She had been living with her partner in a home on Cassidy St at the time. Ms Govan was last seen about 7.30am near the Foundry Hotel bottle shop. At the time, the hotel was also used as a clubhouse by the Club Deroes bikie gang. The clubhouse was raided in the days after Ms Govan’s disappearance. Property and clothing were reportedly seized from the clubhouse, but it was later determined not to belong to the missing woman. Despite a $50,000 reward being posted, extensive inquiries by police and her family, Lisa’s whereabouts remain unknown. Nobody has ever been charged in connection with her suspected murder. Ms Govan’s stoic parents Ian and Pat, her sister Ginette Jackson and her aunt Pauline Leighton spoke to The Sunday Times in the hope somebody’s conscience might be nudged or their memory jogged. “There is bound to be someone out there that knows where Lisa is,” Mrs Govan said. Mrs Jackson, who has three children, none of whom have met their aunt, said all her family wanted was closure. Mr Govan recalled how in December 2000, two anonymous callers phoned Crime Stoppers with specific information about his daughter’s disappearance. Police pleaded for the callers to phone again. One of them did, but the information they gave couldn’t be verified. “There is still a chance for people to come forward who might provide that final piece of the jigsaw,” Mr Govan said. In 2000, then police minister Kevin Prince announced a $50,000 reward for information leading to the apprehension and conviction of the person or persons responsible for Ms Govan’s disappearance. The reward still stands. For the past few years the special crime squad, which handles long-term missing person and homicide files, has been investigating the case. October 8, 1999: Reported missing by her partner. The previous evening she had been to the Safari nightclub. She caught a cab to the bikie clubhouse on Boulder Rd just before 5am. The last confirmed sighting of her is near the Foundry Hotel bottle shop about 7.30am. December 2000: Police Minister Kevin Prince announces a $50,000 reward for information leading to the apprehension and conviction of the person or persons responsible for Lisa’s disappearance. A Perth teacher is using her mediumship abilities to help solve the 18-year mystery behind missing Kalgoorlie woman Lisa Govan. Claudia Renner grew up in a family focused on education but said she knew from the age of 15 she had a gift that contradicted everything she previously knew. “I started picking up on things very early on and by 15 I was pretty well a medium,” she said. Ms Renner went on to have a successful career in the Education Department and acquired two master’s degrees. According to Ms Renner, she receives signals, including imagery and sounds, which she then puts into context through proof of survival. Ms Renner came to Kalgoorlie with experienced investigator Amanda Nella and Ms Govan’s parents, Ian and Pat Govan, to film a hard-hitting documentary. The documentary team is hopeful it will lead to new clues about Ms Govan’s disappearance and assist in the search to find Ms Govan’s body. Ms Renner said her role in the case was to translate the signals she was receiving from Ms Govan to Ms Nella, who would investigate the probability of the claims. Ms Renner and Ms Nella only have access to information available in the public domain and from the Govan family but believe they have found evidence since being in Kalgoorlie that could turn everything on its head. “We have come up with things that may change the whole investigation,” Ms Renner said. The task to find Ms Govan’s body has provided the team with some unexpected challenges. “I believe I have the co-ordinates of where Lisa is but it is like finding a needle in a haystack,” Ms Renner said. “Kalgoorlie is a huge place and I am looking for a particular soil and a particular tree because she showed me where she was. Ms Renner said during her time in Kalgoorlie her voice would change to somebody who was involved in the case. “This person is still alive and Lisa brought that in, my voice changed to help with what I was searching for,” she said. Since being in the Goldfields, Ms Renner said people had anonymously contacted her to provide information on the case. As for sceptics, the medium said because her area of work cannot be explained and there was nothing scientific to validate her claims, she was aware people were wary. “It is incredible, even when people say they are sceptics they still want to know,” Ms Renner said. Ms Renner said in the industry there were a lot of “fruitcakes” but remained adamant her intentions were honest — to assist the Govan family in bringing their beloved daughter home. WA Police have raided two properties with links to an outlaw motorcycle gang in relation to a cold case murder investigation, after receiving "very credible information" regarding the disappearance of a Goldfields woman. The raids on the Club Deroes headquarters in Kalgoorlie and the Perth suburb of Cloverdale come more than 18 years after Lisa Govan disappeared from Kalgoorlie. Ms Govan's body has never been found but police are treating the case as a homicide. Following the raids, WA Police announced they were increasing the reward for information about the case from $50,000 to $250,000. Ms Govan was 28 when she vanished from Kalgoorlie in 1999, and was last seen on the morning of October 8 outside the Foundry Hotel bottle shop on Boulder Road. Police Commissioner Chris Dawson said the Club Deroes' headquarters in Kalgoorlie was, at the time, adjacent to where Ms Govan was last seen. "People associated with the club are a focus of our investigation," Commissioner Dawson said. "They are not the only focus, but they do remain a point of investigation." But he would not reveal what police were looking for, or what if anything they found as a result of today's raids. Commissioner Dawson urged anyone who knew anything about the case to come forward, saying people could do so anonymously. "We strongly believe there are people out in the community who know what has happened to Lisa," he said. "Ms Govan's family deserve answers and the community deserves answers." Despite extensive inquiries by police and family, Ms Govan's whereabouts remain a mystery. Speaking after the police announcement, Lisa's father Ian Govan said he hoped someone would come forward with new information. "It's been a long time. A lot of people have moved on, out of town," he said. "People have got knowledge with them. "Hopefully, the announcement of this increase in the reward will bring somebody forward. We don't know. We can only hope." "It doesn't get any easier with time either," Ms Govan's sister Ginette Jackson added. "It's still heartbreaking, even after 18 years, it doesn't change." At the time of her disappearance, police investigating the case said they were struggling with the code of silence synonymous with outlaw motorcycle gangs. That prompted the then State Government to offer a $50,000 reward for information leading to the apprehension or conviction of those responsible. BIKIES could be compelled to give evidence at a planned coronial inquest into the 18-year-old murder mystery of Lisa Govan, who vanished after last being seen outside the Club Deroes headquarters in Kalgoorlie. Ms Govan’s family wrote to the WA Coroner earlier this year requesting an inquest into their daughter’s disappearance and suspected murder. A spokeswoman for the Coroner’s Court said the “investigation into the death of Lisa Govan is currently being prepared for inquest hearing and is progressing as quickly as possible” although a date has not yet been set. Ian Govan told The Sunday Times this past week his family still strongly supported having an inquest into his daughter’s case, despite a fresh appeal by police on Tuesday that saw the State Government quadruple the reward on offer for information leading to a conviction from $50,000 to $250,000. Police also cut up concrete floors as part of raids on former and current clubhouses of the Club Deroes bikie gang this week. Police Commissioner Chris Dawson said new “credible” information received had led to this week’s developments. The bikie gang has long been linked to the case, with Ms Govan, then 28, last seen alive outside the Club Deroes clubhouse in Kalgoorlie in the early hours of October 8, 1999, after she had been at a nightclub. Her body has never been found. Mr Govan believed an inquest could provide answers his family desperately needed, as well as put the police investigation under the spotlight. But he said though people could be compelled to take the witness stand by the Coroner, it didn’t mean they would tell the truth. “It will show up the downfall of the investigation in the early days,” he said. The Govan family, which does not even have a death certificate for their daughter, has enlisted the services of a medium, private investigator and a documentary team in their long quest for closure. A police spokesman said WA Police was aware of the Govans’ inquest request. “That is a matter for the Coroner, and if or when an inquest is scheduled the cold case homicide squad will prepare a report for the Coroner,” he said. 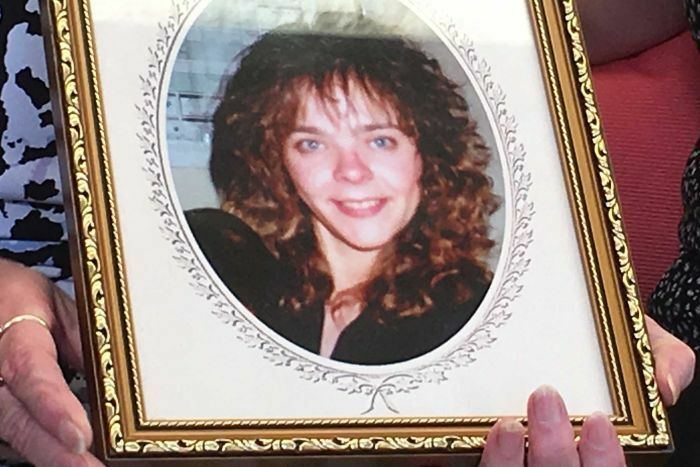 A massive reward has prompted hundreds of calls to cold case detectives investigating the disappearance and suspected murder of Kalgoorlie woman Lisa Govan nearly 20 years ago. Police from the Cold Case Homicide Squad today returned to Western Australia's Goldfields region to retrace the movements of Ms Govan, who was 28 when she was last seen outside the Foundry Hotel bottle shop in Boulder Road on October 8, 1999. It comes just three months after police raided two properties with links to an outlaw motorcycle gang, including the Kalgoorlie headquarters of the Club Deroes, revealing they had received "very credible information" regarding her disappearance. Detective Sergeant Matthew Atkinson said police have received hundreds of phone calls delivering new leads to the investigation since the State Government's original offer of a $50,000 reward was increased to $250,000 in October. "Because we've received a large volume of information from the public, we're trying to timeline the movements of witnesses to try and verify the time that Lisa was last seen," Detective Sergeant Atkinson said. "We've had a number of people who were living in Kalgoorlie at the time come forward and provide us with times and their movements when they saw Lisa on the 8th of October, 1999. "From that we've narrowed down the timeframe to 7:30-7:45 of that morning. "What we're doing at the moment is trying to verify those times by timelining their movements from certain locations to where she was sighted on Boulder Road." Ms Govan had been on a night out at Sylvester's nightclub in Kalgoorlie and caught a taxi to the Foundry Hotel before she disappeared. Police have spoken with the taxi driver and dozens of people who saw her that night. Detective Sergeant Atkinson said two men she was with have been identified and are assisting police with their investigation. He would not be drawn on whether police had found any evidence during last October's raids. "I am not in a position to comment on forensic testing at this time," Detective Sergeant Atkinson said. The Foundry Hotel has since been destroyed by fire and the site has been transformed into a drive-through coffee shop and service station. An old shed on adjacent land, which housed the Kalgoorlie chapter of the Club Deroes outlaw motorcycle gang's clubhouse in 1999, is still standing. The ABC was today taken to four different locations by police, including the Foundry Hotel and addresses on Tupper and Hamilton streets and Speculation Road, which are part of the investigation. Police would not reveal the significance of the locations. Ms Govan's parents, Ian and Pat, came to Kalgoorlie-Boulder last year with Perth medium Claudia Renner to film a documentary they hoped would lead to new clues about her disappearance. Detective Sergeant Atkinson said police are in contact with the family but their work with the medium was not part of the investigation at this stage. "We've not looked at that at all — we are focusing on the evidence we are gathering at this time but certainly we are open to receiving any information they may have received or found themselves," he said. Ms Govan was of slim build and 155 centimetres tall, with brown hair, blue eyes and a fair complexion. The morning she disappeared she was wearing a black skirt, a black long-sleeved top, black sandals and a leather choker with a dolphin pendant. She was carrying a black handbag. Detective Sergeant Atkinson said police want to bring closure to the family. "There are always challenges investigating any matter such as this, and certainly when you add the added difficultly of time, it creates challenges which we can overcome," he said. "We've got some very dedicated people at the Cold Case Homicide Squad, we've had some good results and we certainly don't leave any stone unturned trying to identify what happened. "We work to try and identify what's happened to these people so we can bring closure to the family."